"Does anyone benefit when you can't get your art sold or that great book published or that great idea that will improve everything across?" Let's talk about The 10X Rule. WOW, this book, oh my word! Grant Cardone kicked me right off my booty into action! I don't know if I've had any book jolt me so completely. 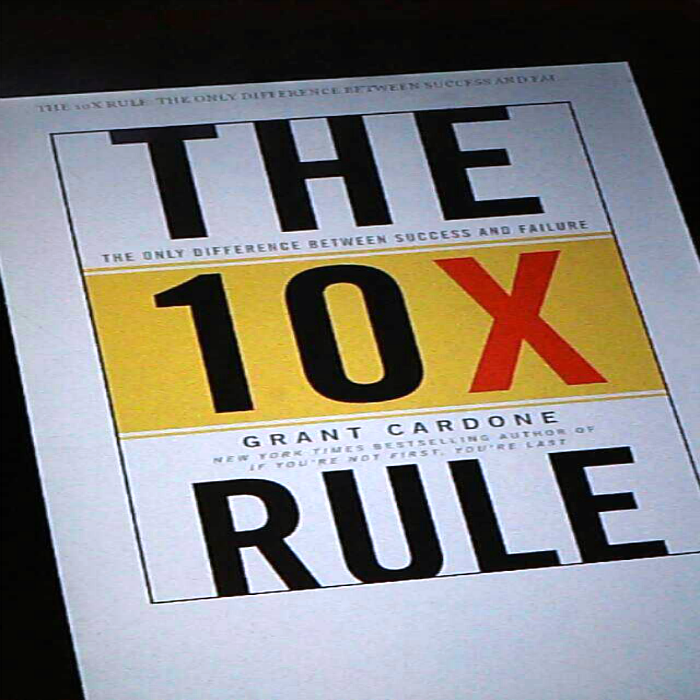 I've had lots of books inspire me, encourage me, motivate me and lead me; but The 10X Rule literally got me off my chair. If you feel stuck or like there is nothing you can do to change your situation then please read this book! Ten to one you will change your tune. This is not a feel good book. He minces no words; he tells it like it is TO YOUR FACE! "One of the greatest turning points in my life occurred when I stopped casually waiting for success and instead started to approach it as a duty, obligation and responsibility." One of the things that impacted me the most about this book was how he showed that not pursuing success is unethical. I strive to be an ethical person so this hit me square in the face. He said, "I even suggest that failing to insist upon abundant amounts of success is somewhat unethical. To the degree that electing to do our personal best each and every day is ethical, then failing to do so is a violation of ethics." That woke me up and had me leaning forward in my chair. "Treating success as an option is one of the major reasons why more people don't create it for themselves-- and why most people don't even get close to living up to their full potential." "If you don't consider it your duty to live up to your potential, then you simply won't."